KARACHI: Pakistan could see an industrialisation wave in the coming months through the addition of production and manufacturing units including mobile and laptop assembly plants from China, stated the central bank in its quarterly report on the state of the economy. The State Bank of Pakistan (SBP) said that the country could benefit from technology transfers and spillovers from China, which is currently partnering with Islamabad in building a network of roads and highways along with participating in power projects in a multi-billion dollar economic corridor. “With CPEC (China-Pakistan Economic Corridor) in its implementation stages, technology transfers and spillovers from China into Pakistan may be expected,” said SBP in its latest quarterly report. Other industries – which may see relocation of complete industrial units and transfer of technology – include low-end textile manufacturing and basic food processing. Fertiliser, steel, automobile, chemicals, plastic (toys, sanitation and pipes) manufacturing industries may also see a similar trend, stated the central bank. “In the auto sector, an inflow of conventional vehicles and associated spare part businesses may be expected in Pakistan. Crossover sedans, SUVs and pick-up trucks, together with complementary products and services, like spare part businesses, could find their way into the market (Pakistan),” it added. “The government must strive to ensure that entrants help spur a competitive environment and not instead become part of the cartelisation that is being observed in varying degrees in segments such as cement and auto manufacturing,” it said. “The smallscale segment of Pakistan economy has suffered because of cheap inflow of Chinese products. High inflows of Chinese consumer durable commodities, and non-availability of their local substitutes, present indications that local SMEs are losing ground in the domestic market,” it said. 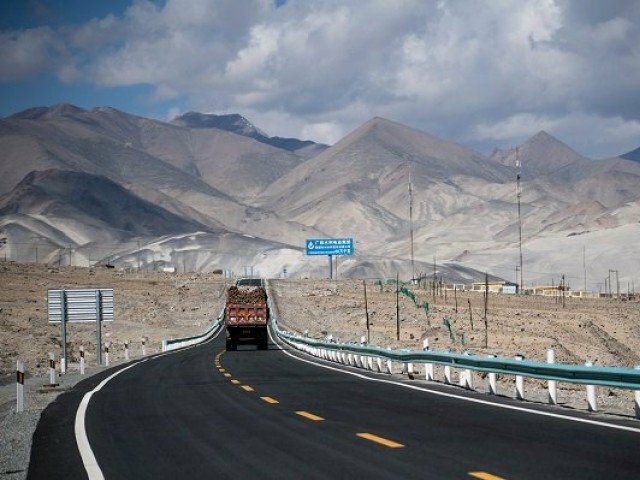 China is currently in the implementation stages of its CPEC projects in Pakistan worth over $60 billion mainly in infrastructure – roads and railways – and power production. Recently, the two counties also identified nine sites as priority Special Economic Zones in Pakistan under CPEC. In addition, a couple of Chinese investors have found Pakistani business partners to set up auto and parts manufacturing projects in the country. With China moving towards high-end production to address climate issues, many existing practices, equipment and infrastructure could become obsolete in the near future. “Shutting down or disposing off these industries would not be feasible, while transferring the machineries to developing economies could act as an attractive alternative. “Pakistan not only has an edge over possible competitors when it comes to attracting such technology transfers due to geographical proximity and a policy of strategic alliance, but with CPEC an actualising step towards the One Belt One Road initiative, it also shows closer compatibility with China’s new growth model,” the central bank report added. There exists a mismatch between the current level of domestic labour skills and the level required to handle advanced equipment, operate new machineries, and carry out adequate research and development, said the SBP. “The share of medium skilled workers in the total labor force is less than both the average of lower-middle income economies and China. Furthermore, the share of workers with at least a basic level of education is lower than India and only marginally better than in Vietnam. “The economy would have to adjust to allow a transitional period where workers from China arrive to work and train their counterparts in Pakistan. However, the contractual nature of this employment must eventually ensure the transfer of skills (and posts) to the latter,” the SBP said. Pakistan must also reassess the implications of its Free Trade Agreement (FTA) with China in the light of developments under CPEC.